Although for a long time it seemed that Bethesda could do no wrong, this year’s Fallout 76 did not live up to expectations, to put things mildly. Bethesda’s attempt to turn Fallout into an online multiplayer game was something of a failed experiment, even if million of players have been roaming Fallout 76’s post-apocalyptic West Virginia since the game’s launch in November last year. Those disappointed with the game, though, might already be thinking about The Elder Scrolls VI, Bethesda’s next big project and follow up to the much acclaimed The Elder Scrolls V: Skyrim. However, Bethesda’s game director did say in an interview last year that we shouldn’t expect The Elder Scrolls VI any time soon, even suggesting this might be a next-gen game which will launch on upcoming consoles like the PS5. Plus, Bethesda is also working on Starfield, a sci-fi RPG which is unlike anything the company has released to date. So, there’s no chance of The Elder Scrolls VI hitting shelves this year, right? 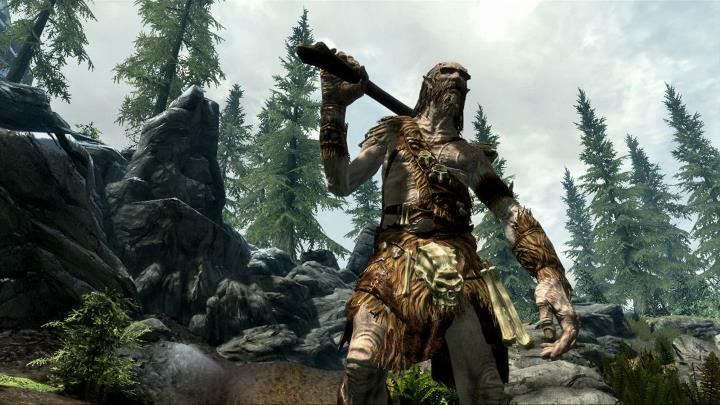 Not according to leading industry analyst Michael Pachter, who in an interview with gamesindustry.biz has predicted Bethesda will indeed release an Elder Scrolls game this year. “The flop of Fallout 76 makes a hit more essential for Bethesda, and I expect them to accelerate development of ESVI”, said Pachter. And indeed there is a chance of an Elder Scrolls game being released this year, especially taking into account that by this November eight years will have passed since The Elder Scrolls V: Skyrim came out, which is an awfully long time between major releases of the series. Actually, the most players have had to wait for another major Elder Scrolls game is six years, the time which passed between the release of The Elder Scrolls II: Daggerfall in 1996 and Morrowind’s release in 2002. Also, nobody was expecting Bethesda to announce another Elder Scrolls game in late 2010. Skyrim’s announcement came out of the blue, and there’s a possibility that Bethesda is being tight lipped about The Elder Scrolls VI in order to surprise everyone by announcing a 2019 launch later during the year. Pachter’s argument about Bethesda needing a hit after Fallout 76 flopped makes a lot of sense, meaning the Maryland-based company might be leaving Starfield aside and instead focusing on finishing The Elder Scrolls VI for a 2019 launch. But then again, it might not. The Elder Scrolls VI is likely to be a cutting-edge game in every respect, and Bethesda could instead opt to take its time and polish the game instead of rushing it to market in order to avoid another disappointing launch a la Fallout 76. Plus, Fallout 76 itself also needs polish, while Bethesda already announced it will be fine tuning that game and delivering content updates throughout 2019, something which is likely to keep the company busy for a while. And give that expectations and player interest is high for Starfield, perhaps it would not be a good idea to delay the game now and try to get it to market sooner, leaving The Elder Scrolls VI for the next-gen of consoles, so that it can truly shine running on next-gen hardware. Nonetheless, I would still love to play an Elder Scrolls game this year, and if Bethesda can deliver another high-quality Elder Scrolls title (and one that manages to live up to the legendary Skyrim) it would surely be a dream come true for the millions of Elder Scrolls fans out there, no doubt.